Laser skin tightening is a minimally invasive, non-surgical process that uses an infrared light source (a laser) to tighten skin by heating the collagen under the skin’s surface, causing the skin to contract (tighten). Facial skin tightening is noticeable immediately after the treatment, and there is no downtime, making this an increasingly popular procedure. Additional skin tightening occurs over the next few months, but optimal results usually require two or three treatments about a month apart. 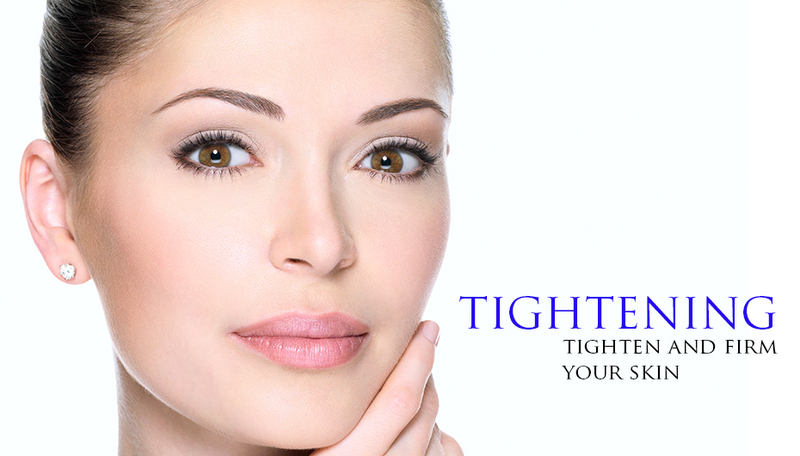 Laser skin tightening is an approved method for the reduction of fine lines, wrinkles, and skin laxity. While laser skin tightening results may not be as dramatic as those of a face lift, patients enjoy moderate results with no downtime. An added benefit of laser skin tightening is that it is safe and effective for restoring a more firm, youthful appearance to skin all over the body. Read on to learn more about the benefits of laser skin tightening treatment. Before a skin tightening treatment session, it is important for a patient to remove all make-up, oils, sunscreens, and any other substances that may be on the skin. Then, the laser skin tightening practitioner will apply a topical anesthetic cream to the area to be treated and supply the patient with protective eyewear. Because of the non-ablative nature of laser skin tightening treatment, no further anesthetic should be needed, though patients who have a particularly low tolerance for discomfort may wish to take an over-the-counter pain medication prior to treatment.